The Fashion Pakistan Week 5 Finale was a virtual roller coaster ride through cultures, time, and continents. We started off in the lap of luxury inside the palatial gardens of the Orient, spent a summer in St. Tropez and ended the night in a wonderfully warped dimension where Mexico crashes into Kharadar! Needless to say we loved every minute of it. The irony increased when Sania Maskatiya showcased a collection dedicated to the very concept of a ‘journey’, everything fell right into place aside from a few misdemeanors. Shamaeel Ansari redefined the Oriental experience discovering new levels of understated opulence with heavenly Japanese inspired digital bird prints splashed across silken flowing pants, marble prints on a muted color palette paired with kimono jackets that were adorned with cultural emblems, and feminine drapes with cut out shoulders and intricately embroidered bustiers all coming together in a harmony of emotions. There was no lack of textures from Shanghai silks to devore velvets, and thick crushed tie dye scarves, the more we saw the more we wanted. The soundtrack for the show was especially selected by Shamaeel and contributed to elevate the vibe to an almost spiritual, ethereal plane. 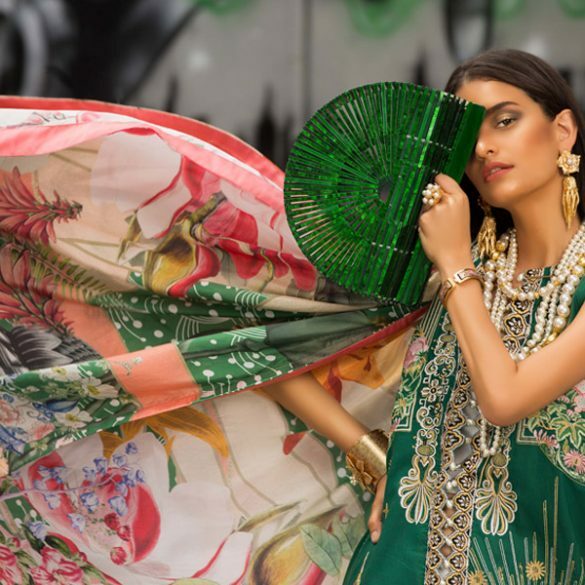 The rumors of the new Sana Safinaz Pret Collection designed in collaboration with Ather Hafeez for their signature stores launching this month had reached an unbeatable level of hype with the secrecy causing unbearable heights of anticipation. Usually such build ups are followed by disappointments due to the impossibility of reality living up to expectations. This was certainly not the case here. From the first tribal print to the final jeweled cocktail dress there wasn’t a second that contained anything but thrilling, crisp, unadulterated glamor. The colors arrangements were both exotic and fresh, the cuts at par with the best of international high street labels, and the accessories had an immediate impact. It was one of those rare moments when you walk into a store and realize you want to buy everything! There was no element of indecisiveness with regard to trying to create fusion cuts to appease all audiences as designers often do. This was pure western pret and party wear which you usually stock up on during vacation time. Ather Hafeez has effortlessly absorbed the Sana Safinaz philosophy using sophisticated, classy, and simple concepts, styling them into high glamor quotient creations. Tropical colors, beaded and stone necklines, and bold monochrome prints contrasted against solids were a prominent feature. Accessories were kept young and trendy with platform wedges and printed oversize clutches, bags and scarves to match. The fact that the collection will soon be available off the rack at high street prices seems almost too good to be true. Frieha Altaf was the very first one to be spotted in an off-shoulder dress from the new collection on the red carpet. There were too many stars on Day 2 to fit into one blog, come back for more in depth reviews and ramp photos of Sania Maskatiya, Deepak Perwani, Gul Ahmed and more! In case you missed our Day 1 coverage visit our previous blog and view all the red carpet photos from the finale on our Spotted Gallery! Shutterbug: Behind the Scenes with Maheen Karim for Bonanza Shoot!